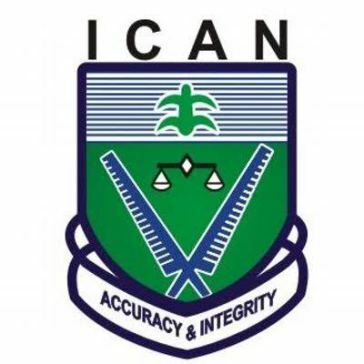 The Institute of Chartered Accountants of Nigeria (ICAN) has said that sluggish investment decisions that may arise as a result of expectations from the general elections among other factors will moderate the growth prospects for Nigeria in 2019. ICAN's President, Alhaji Rasak Jaiyeola, revealed this during the institute’s economic discourse series titled, ‘2019 economic outlook’ which was held in Lagos on Thursday. “The growth prospects for Nigeria may be moderated with the likely late passage of the 2019 budget, sluggish investment decisions that may arise as a result of expectations from the general elections, the security challenges in the country, projected relatively low crude oil prices in the global market and other uncertainties that may be caused by the general elections and developments in other trading economies with the country" Jaiyeola said. According to Jaiyeola, there are divergent views on the growth prospects across countries and regions for 2019. While the projections for some were encouraging, he said others had been predicted to experience some downward spiralling in the year. He noted that the world economic outlook by the International Monetary Fund projected a global growth of 3.5 per cent in 2019 and 3.6 per cent in 2020, which represented 0.2 and 0.1 percentage fell below the 3.7 per cent average growth in 2018. In sub -Saharan Africa, he added, growth was expected to pick up from about 3.1 per cent in 2018 to 3.8 per cent in 2019. According to him, the programme creates a platform for accounting and non-accounting professionals as well as other economic watchers to do a dispassionate critique of the major indices of growth and development in the economy. Over the years, he added, the programme had made significant contributions to various social, financial and economic issues influencing the country’s growth experience. He said, “Through these series and other knowledge events of the institute, we have made profound contributions to budget planning process, banking reforms, tax and fiscal management, forensic, financial technology and corporate governance among several others. The recommendations that emerged from past series had served as important policy tool for government at all levels and other stakeholders in the economic value chain.” The Chief Executive Officer, Economic Associates, Ayo Teriba, said,“ Nigeria must strategically re-build domestic liquidity buffers to regain countercyclical monetary policy capacity. Nigeria must strategically deepen the four financing buckets in the economy.” According to him, the financing buckets are banks, bonds equity and foreign exchange.